The illustrated Cold Steel Trainer is the Cold Steel 1911 Training Pistol that features green polypropylene construction, 1" wide with the hammer back and the safety on. This Cold Steel Training Pistol is fashioned to look as realistic as possible so it can be effectively used in solo practice, training drills, disarm drills and demonstrations. 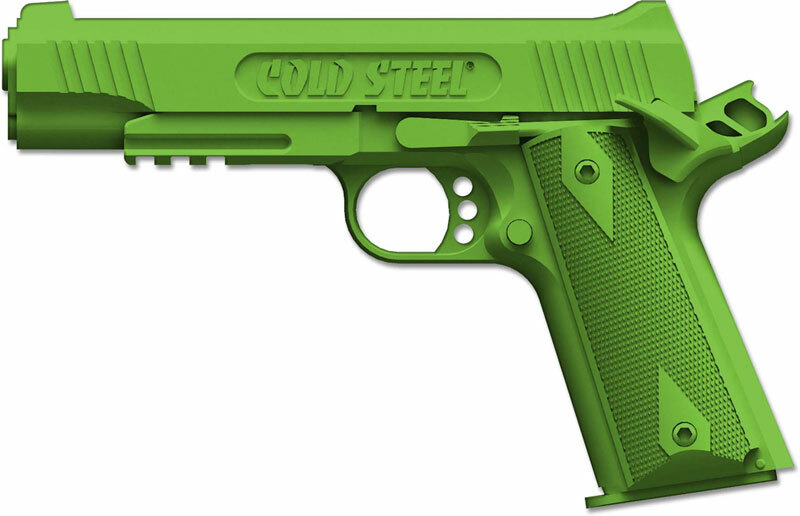 The Cold Steel 1911 Training Pistol is 8 5/8" long, 5 3/4" tall and it weighs 12 ounces.